A lot of fitness programs out there today recommend building your own “home gym”. This obviously has tons of advantages like getting rid of recurring membership fees, allowing you to exercise from the comfort of your home and saving you a whole lot of money and time on transportation (if your gym isn’t nearby). Best of all, the convenience of having the equipment you need to workout at home helps you fight the pesky procrastination devils in your head! Whether your home gym already has some equipment or you’re just starting out buying your first, you can’t go wrong with the decision to purchase a workout bench and what more one from a trusted manufacturer like PowerBlock Dumbbells Products? The sheer number of exercises that you can do with it alone makes it well worth the purchase. Now, if you’ve landed on this particular article, you’re probably wondering: Is the PowerBlock Sport Bench any good for the purpose? Well, if you’re looking for the short answer: yes, I’d highly recommend it. If you’re looking for the longer one, go ahead and continue reading below as I examine its pros and cons objectively, then draw my conclusions on it. Yeah, I know. Very Poetic. Seriously though, the PowerBlock Sport Bench is made of 2”x3” 14-gauge tubing which makes it solidly built and quite sturdy. Both the backrest and seat are padded with tapered upholstered cushions ensuring you get an adequate degree of comfort while exercising. It also measures 50” by 21” by 16” when flat, weighs 57 lbs and is supported by wheels attached at the back along with a handle. All of this not only puts it ahead of many of the other competitors in terms of weight, but it’s low-profile height also ensures your legs can remain planted on the floor while exercising. With these dimensions, weight, and the wheels; it’s quite easy to move it around without having to lift it all off the ground. Well, where do I start? 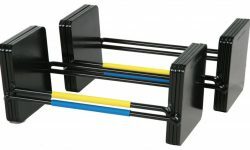 The PowerBlock Sport Bench has 5 adjustable positions: 0, 30, 45, 60 and 85 degrees. It’s seat can also be adjusted for your comfort. One pro that stands out is that the distance between the backrest and seat is minimal compared to other workout benches on the market, which makes exercising a lot more comfortable. It also comes mostly assembled so you can assemble it in a snap, unlike other benches that could have you spending a whole afternoon scratching your head, trying to figure out how to get it up and running. I’ve had the PowerBlock Sport Bench for over 1 year and half, and it still looks brand new to me. This is despite the fact that I’ve been using it regularly for the whole duration. Says a lot about durability, doesn’t it? Nothing is perfect, right? Well the PowerBlock Sport Bench is certainly no exception. For one, the bench has no decline positions, so decline presses and ab crunches are out. Another point to note is: if you have the backrest adjusted all the way to 85 degrees, you cannot adjust the seat to be upright. It has to be in the decline position. I’m really not sure if that’s a con as I know most people would prefer it this way anyway, but it’s something to take note of. Overall, I consider both of these cons less than minor, at least for me. I had to think long and hard before I came up with them because both of them are not something I ever complained about. Do I recommend buying the PowerBlock Sport Bench? Absolutely. Why? 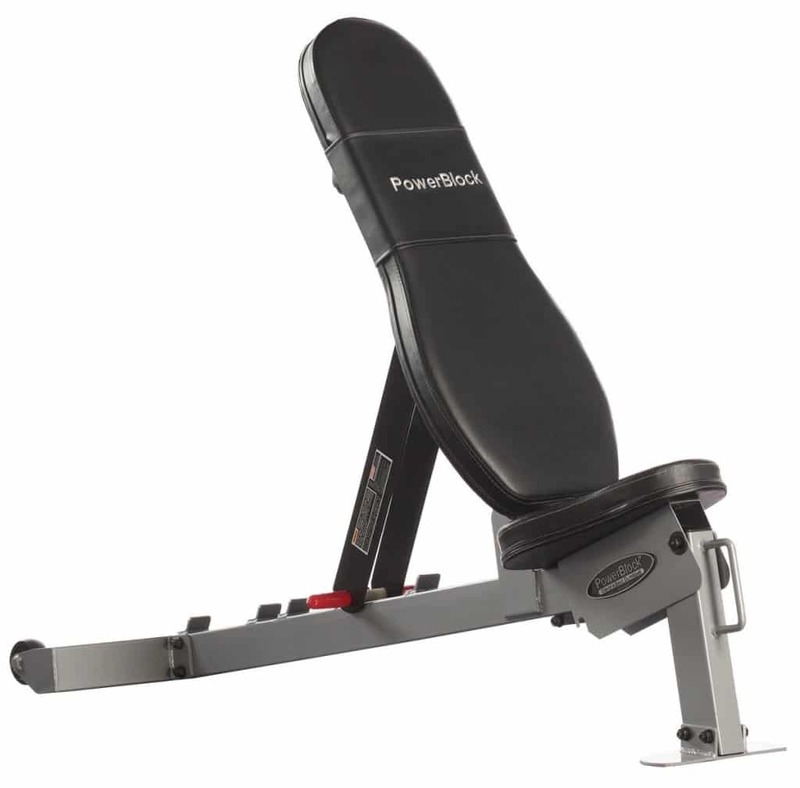 Well, several reasons to sum up: This workout bench comes from a well-reputed manufacturer (PowerBlock), they create a lot of great products. 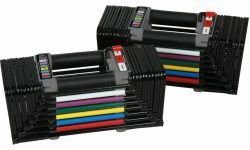 I’ve had their dumbbells for a while now and I was very impressed with the quality. 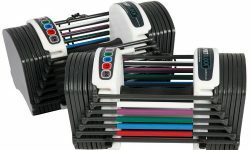 The main reason why I’d recommend the PowerBlock Sport Bench though, is the value for money. You’re getting a reliable, flexible, portable and durable workout bench that will keep you busy exercising for years to come.